KIRKSVILLE, Mo. - The University of Indianapolis eliminated the Truman Bulldogs from the Great Lakes Valley Conference tournament 72-51 in the opening round on Sunday. The Bulldogs season comes to an end at 16-11. 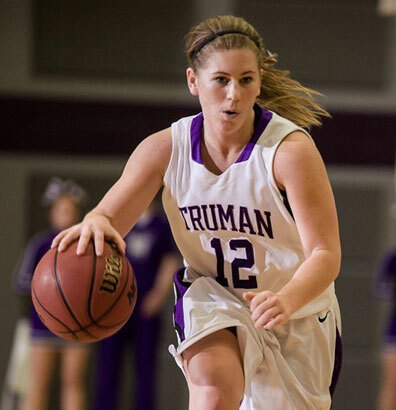 Truman’s senior guard Allie Norton finished her illustrious career Sunday and leaving her mark in the history books of Bulldog’s Women Basketball. ST. LOUIS, Mo. - Courtney Strait notched her second straight double-double, Michalina Tomczak scored seven of her game-high 17 points in overtime and the Truman Women's Basketball team picked up a huge road win in overtime over Maryville (Mo.) University 78-72 on Thursday night. The Bulldogs led by eight at 66-58 with 3:37 to play but the Saints fought back to score eight straight points to knot the score with 35 seconds left in regulation. ROLLA, Mo. 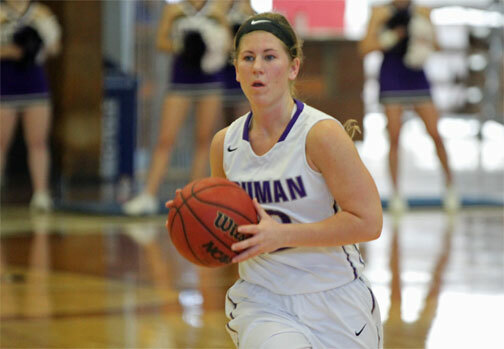 - A hot start and a hot finish gave the Truman Women's Basketball team a 70-51 road victory in Great Lakes Valley Conference play over Missouri S&T on Saturday afternoon. 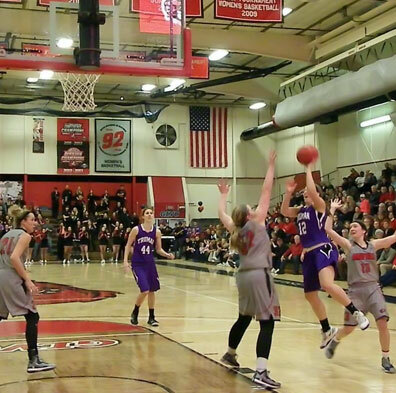 Allie Norton (pictured left) scored 17 of her game-high 22 points in the first half and tied her career mark with six three-pointers while moving into eighth on the Truman all-time scoring list in the victory.